The list was compiled by EnertainmentDesigner.com, an unbiased online magazine dedicated to finding and spotlighting the best of the best in entertainment design, from theme parks and museums to concert halls and exhibits, and now mini golf courses. Read on to see who made the list! "...the simple natural splendor of Lumberjack Pass in Lake George sets it apart from other courses on our list. This landscaped 18-holer describes itself as the closest thing to being on a full-scale golf course. It is set against a mountainous Adirondack backdrop amid flowing streams, waterfalls and real sand traps. 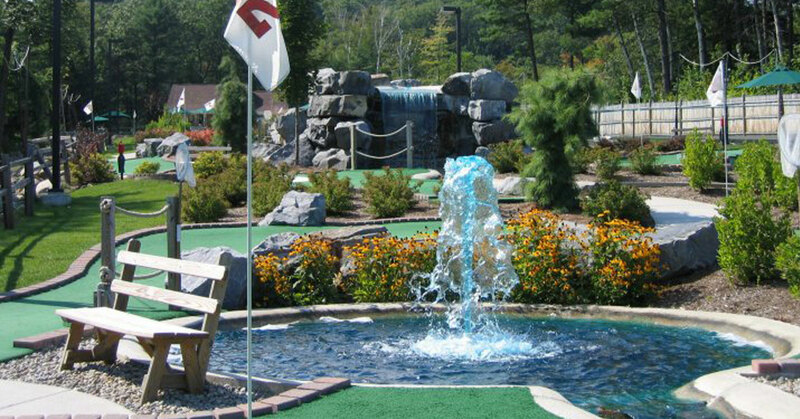 Hand-carved wooden lumberjacks complement plush green plants and flowers, and water hazards can be found on every hole. At an acre in size, it is one of the bigger mini-golf courses to feature in our top ten." "Players can travel the world without having to board a plane at Around The World Golf's two themed courses in Lake George. Around The World and Around The USA feature holes designed to represent countries throughout the world and some states in America. The 40-year-old course includes European and Oriental themed holes, giving golfers something of a cultural and educational experience. Highlights include a giant Native American statue and a colossal axe-wielding lumberjack. The creators of this globe-trotting course will be proud to take their place in the top ten for a fun, novel idea, allowing mini golfers to travel the world without having to break the bank." If you have been to these courses, you already know all the crazy fun they offer, which earned them a spot on the list of 10 Craziest Mini Golf Courses on Earth. But if you have not been, find out what you've been missing! 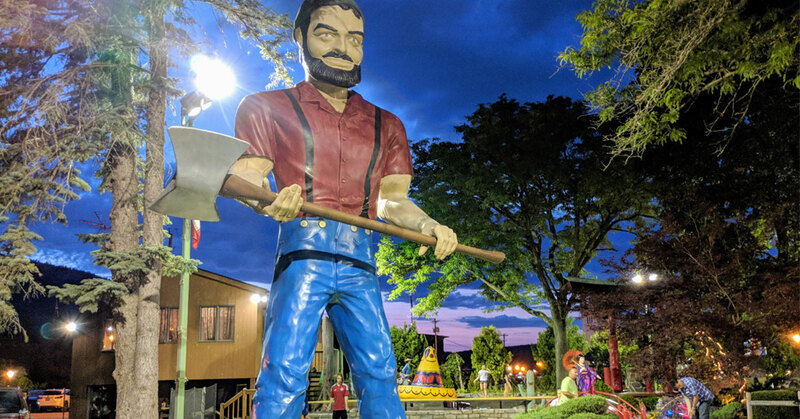 Learn more about Lumberjack Pass Miniature Golf and Around the World Golf, and stop in for a round or two next time you are in Lake George!